If you are having sewer problems, you can rest easy that you have found the right plumbing company to solve your sewer problems. 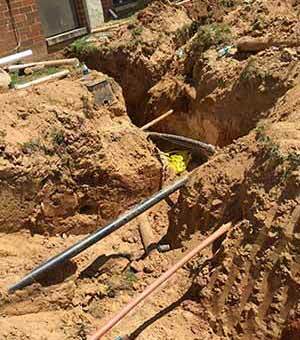 When it comes to sewer related issues, you cant afford to take chances. While some sewer problems can be repaired fairly easily, other more serious sewer problems can require a higher level of expertise and experience. First of all, a proper diagnosis of the problem is critical. You need to know exactly what the problem is, and exactly where it is. Once properly diagnosed, we can offer the correct solutions to fix the problem. Often times, there are several options for the repair and we will communicate those options for you very clearly and give you an upfront quote for the work, so there will be no surprises. If you already have quote and want a second opinion, that's a smart idea. We will offer a free estimate and a valuable second opinion, so you can make the right choice. It's important that when comparing prices for a sewer repair or replacement that you are getting an apples to apples comparison. You may be presented with a trenchless sewer repair or other a repair of just a portion of a sewer line. Again, make sure the quote you get spells out exactly what is to be done to repair the sewer line. There are times when you homeowners need to weigh the option of getting just a portion of the sewer fixed or repairing a larger portion of the sewer line. 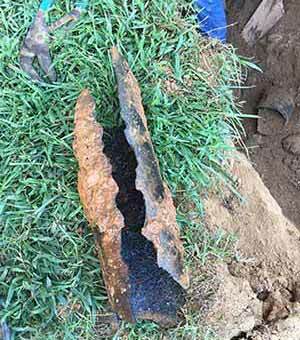 If for example you have old cast iron pipes that have eroded in once area, it may be that other parts of that sewer line are going to have similar issues in the near future. Many homeowners like the peace of mind knowing that once they replace the entire sewer line with a new sewer pipe, they will likely be done with sewer problems for a very long time. When it comes to diagnosing exactly what is causing the sewer problem, a sewer camera inspection can save time and money by being able to quickly locate the location and issue that is causing the problem. These sewer cameras are great for before and after video so you can see that the repair was done and the line is free and clear after the repair. From sewer cleaning to complete sewer line replacement, trust PlumbPros Plumbing & Rooter for all your sewer system needs.